Working as an independent travel agent has plenty of advantages, but one of the biggest is the relationships and partnerships that are formed with leading travel vendors like Blue Sky Tours. 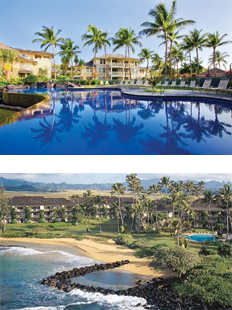 When it comes to the quiet island of Kauai or the bustling beaches of Oahu, Blue Sky Tours arranges incredible vacation packages perfect for any traveler. 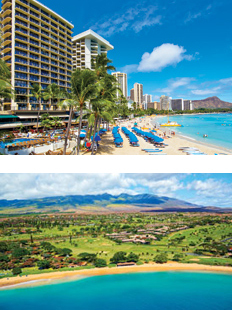 One of its top destinations is the Big Island of Hawaii, a true oasis of beauty in the heart of the Pacific Ocean. The No. 1 reason that many travelers opt to travel with Blue Sky Tours and head to the Big Island is for the opportunity to unwind on one of the countless beautiful beaches the island has to offer. Larger than all of the other Hawaiian Islands combined, but with less than half the population, the Big Island boasts secluded coves, private beaches and stretches of nearly-empty white sand coastlines where visitors can swim, snorkel, try deep-sea fishing, take a surfing lesson or even spot turtles and whales in their natural habitats. For a once-in-a-lifetime adventure, there are few attractions more exciting than the Hawaii Volcanoes National Park. Located by the aptly-named town Volcano, this national park is home to the Kilauea Visitor Center and the Jagger Museum, both of which delve deeper into the history and science of the volcano as well as the importance of the landmark to the native Hawaiian people. Visitors can hike across dried lava fields, walk through the awe-inspiring Thurston Lava Tube, or drive along Chain of Craters Road to soak in the daytime sights. Nothing can prepare patrons for the bright red glow of the erupting volcano after sunset. The Big Island of Hawaii is home to plenty of beaches, but many visitors don’t realize that it also boasts mountains with elevations of more than 13,000 feet. Several times each year, both Mauna Kea and Mauna Loa receive snow, and residents and visitors alike drive to the peaks to enjoy the unique experience of seeing frost in Hawaii. Whatever the weather, a visit to the observatory on Mauna Loa is an amazing attraction for those who want to see breathtakingly-clear views of the starlit sky without the distraction of light pollution. 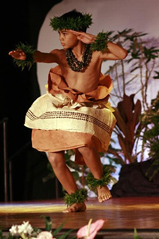 The Big Island of Hawaii is one of the least touristy in the chain of Hawaiian Islands. This only adds to its appeal for many travelers. The island boasts a number of historical attractions and landmarks that lets visitors get a more authentic, genuine feel for the heritage and culture of the island and its people. One of the top places to visit is undoubtedly the Puuhonua o Honaunau National Historical Park, a row of thatched temples along the beach that were once known as the City of Refuge. Nearby Kealakekua Bay is popular among scuba drivers and snorkelers thanks to its protected marine status and abundance of early-morning dolphins, but it is also noteworthy as the first place that Captain James Cook explored when he discovered the Hawaiian Islands. A white statue commemorating Cook still stands along the bay. By working with a host agency like Travel Planners International, travel agents will have the connections to begin making lasting relationships with companies like Blue Sky Tours. 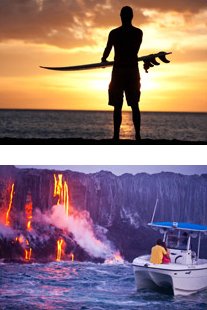 Visiting the Big Island of Hawaii may be the next opportunity on your travel itinerary!